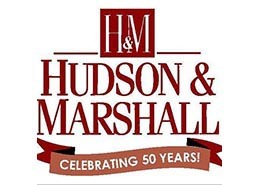 Hudson & Marshall Inc. was founded in 1965 by law school classmates, B. G. Hudson Jr. and Asa M. Marshall, III. The company began by subdividing farms into small acreage tracts in the Middle Georgia area and appealing to buyers seeking a move to suburbia. H & M remains loyal to the Middle Georgia Area. Hudson & Marshall is still very active where the company’s long history began. Staying close to the local community keeps us grounded and focused on quality auctions and customer appreciation. Land & farm sales are conducted regularly along with municipal government surplus, estate and personal property auctions. Because of Hudson & Marshall’s 42 year track record, impeccable reputation, and name recognition in the industry, the company is poised and positioned more than any other to effectively market assets on a national basis.